Firstly the non beauty item is the NEOM travel size candle in 'tranquility' I loved this candle so much i was afraid to burn it as i wanted to reserve it for special evenings, anywho i just had another bought for me. Neom candles are something i'd really repurchase over and over as there so relaxing and loverly to enjoy. 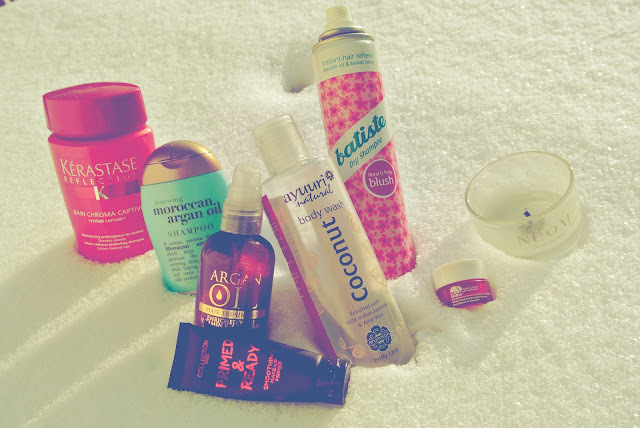 finally the Batiste dry shampoo in blush, completely does the job of refreshing my hair i just now prefer to use the one thats aimed at brunette hair types. 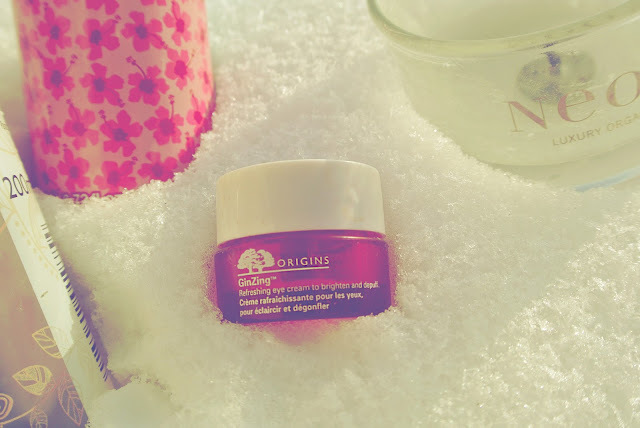 Onto skincare i've used up the Origins GinZing eye cream, i've mentioned this in lots of blog posts now so i won't go over it again but i need some more of this in my life again.. The Collection 2000 'Primed and Ready' makeup primer, which i received in a beauty box. This actually isn't empty i just dont like it.. It has a petrol like smell to it and when applied to the face just completely feels unnatural and i just didn't like the idea of using it anymore. 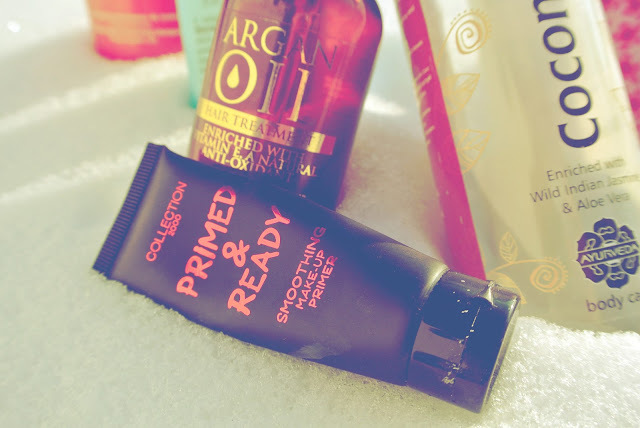 And lastly the Ayuuri natural body wash i received in the GlossyBox natural edition i particularly did like this, although coconut is not my favourite its not something i'd purchase in future. That's adorable the pictures of the products in the snow! Very clever!!! I love dry shampoo, it's such a great help! Yes defiantly, especially in between me working shifts it becomes a bit of a saviour! I love that dry shampoo! Well not that scent but that brand is great!